What to Do with Heavily Variegated Yarn? 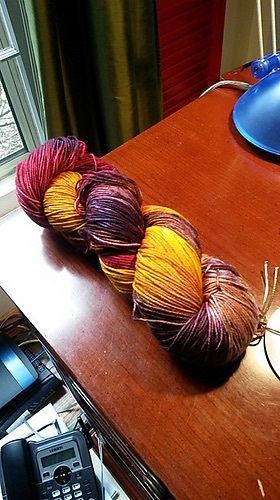 I bought this fabulous hand-dyed yarn when I was in New York for my birthday back in June. Quite the lovely souvenir. I had researched yarn stores before I’d gone and had been led towards Knitty City in the Upper West Side (208 W 79th). I love their tagline: Delicious Yarn Without the Calories. It is the most fabulous store! Small (of course, it is NYC after all) but jammed to the rafters with the most divine yarn everywhere. 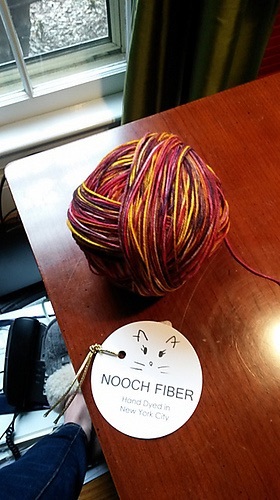 I particularly took a shine to this fabulous colourway from Nooch Fiber. And wound into a ball. Looks so different, right? It is at this stage I start to get nervous about how it will knit up. There was also an amazing colourway called ‘Starry Night’ (Vincent Van Gogh). It won’t surprise you to hear that it had the most amazing shades of deep blue, indigo and and yellow. Just gorgeous! Now, what to make? 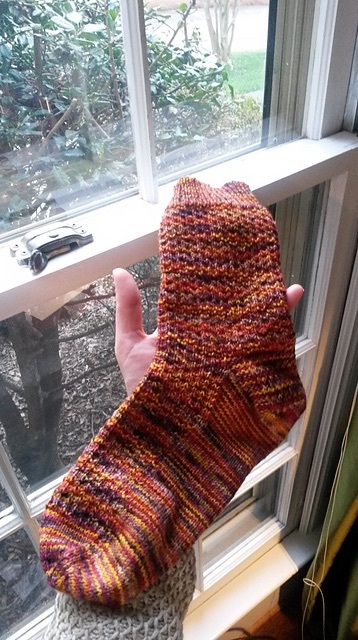 Well, with just one skein of sock yarn, socks were the obvious answer but I was nervous about the strong variegation and wasn’t certain how it would knit up. I truly have absolutely no vision and can’t imagine at all from a sample what it might look like as a finished piece. Ugh! 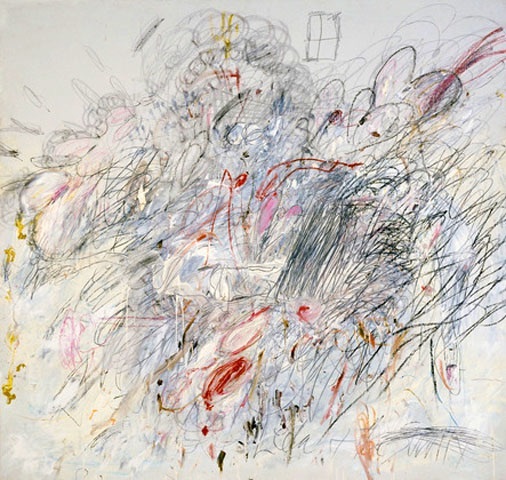 Something with texture but not too much. I knew a lace pattern would likely get lost in the striation and yet plain knitting is just so tedious. I needed a nice balance. Nothing I had on hand was really suitable. A little research on Ravelry (such an amazing site) revealed all sorts of options but this pattern, Hermione’s Everyday Socks, came highly recommended and seemed to fit the bill. And so far so good! I do feel the colours are a little jarring together and closer to Clown Barf than I would normally be comfortable with but I find it grows on you after a while and now I kinda like it. A parent at swimming commented that the colours reminded him of a flashback to the 70s. I don’t know whether to be complemented or insulted. The colours are more vibrant in reality, closer to those shown in the first pic with the yarn still wound in the skein. They looked kinda washed out here. Close up of stitch definition. Still blurry though – sorry. What do you think of the colours, too much? Do you have favourite patterns you love that are great for breaking up flashing or Clown Barf-y yarn?